Qatar Airways has announced the launch of five new passenger routes, including one to Kilimanjaro International Airport (KIA) in the heart of the northern Tanzania tourism circuit where airport arrivals have consistently reported 15 percent annual growth since 2003 and where nearly 650,000 passengers are currently being served. This expansion project, which will create the second Tanzania point on Qatar Airway’s Africa map, is a part of the airlines international network expansion project that will offer more cargo services as well as capacity increases to numerous destinations as well as passenger flights to locations in Iraq, Myanmar, and Serbia. In addition, while the frequency of passenger flights will be increased for destinations in Europe, Middle East, Africa and Asia Pacific, Qatar Airways will also be introducing new freighter services to Pakistan, Oman, South Africa and South Korea. Qatar Airways Chief Executive Officer Akbar Al Baker announced the launch of this expansion program earlier this week at ITB Berlin, the world’s largest travel show; it is currently scheduled to begin in May and to continue for approximately six months. 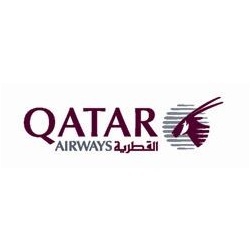 With this announcement, Qatar Airways joins the ranks of other major airlines including Condor Air, Edelweiss Air, Ethiopian Airlines and KLM who already fly to KIA. According to a recent report by Tanzania Daily News, the Managing Director of the Tanzania Tourist Board, Aloyce Nzuki, has said that Kilimanjaro is one of the fastest growing destinations and the expansion of Qatar Airways to the airport will be beneficial to the Tanzania tourism sector. “The services to and from Kilimanjaro, to one of the fastest growing destinations in today’s aviation industry, is of vital importance to further develop the tourism potential of Tanzania,” said the Managing Director. In just 15 years of operation, Qatar Airways has already witnessed rapid growth with 112 key businesses and leisure destinations across Europe, the Middle East, Africa, Asia Pacific, North America and South America and a modern operating fleet of 105 aircrafts. Qatar Airways has already launched flights to Tbilisi, Georgia and Baku, Azerbaijan as its first new routes of 2012 and in line with its current expansion program. By the end of this month, Qatar Airways will be operating daily scheduled services from Doha to the Rwandan capital Kigali, via Entebbe. Additionally, two destinations will be introduced to the carrier’s Middle East network in Iraq beginning in May and then again in June. Qatar Airways will also expand its European network in September with the Serbian capital of Belgrade followed by a return of its services to the capital city of Yangon in Myanmar in October. As always, the Qatar Airways hub located in Doha will remain open in order to help facilitate and direct passenger and cargo traffic across its numerous destinations worldwide including its connections in Europe, Middle East, Africa, Asia Pacific, North America and South America. According to Marco Van de Kreeke, the CEO of Kilimanjaro International Airport, has reportedly spoken about the airport’s new relationship with Qatar Airways in Tanzania saying that the airlines network will inevitably help to improve connections to the Middle East, India, China and other Asian destinations. In addition, Mr. Van de Kreeke remained optimistic that the flights that are offered on a daily basis to Doha will help to further stimulate the airport’s growth.